The International Footbag Players’ Association (IFPA) and Fancy Footwork Productions, Inc. are proud to announce the 28th annual IFPA World Footbag Championships (click here to register), August 11-18, 2007, at the Disney Wide World of Sports® Complex, Lake Buena Vista, Florida. Footbag Sports deliver both athletically and competitively and lead to a lifetime of health and fitness. Footbag Sports are all about competition. The sport of footbag can be defined as either playing a court game with your feet over a net against an equally motivated competitor, or executing a fully choreographed freestyle routine, in front of your peers and a panel of judges. The world’s most amazing footbag practitioners will converge on the beautiful Disney Wide World of Sports® Complex in early August for one of the most unusual and captivating athletic competitions of the year. It’s the 28th annual IFPA World Footbag Championships. Athletes will attend the Worlds from all around the globe – countries such as Slovakia, Germany, Czech Republic, Austria, Finland, France, Holland, Hungary, and many more – as well as the United States, Canada, Japan, Australia and New Zealand. These are just a few of the countries where footbag is a well-organized and keenly appreciated sport. The defending World Champion in freestyle footbag is only 20 years old from Prague, Czech Republic. Our young footbag prodigy, Vaclav Klouda, will defend his title for the sixth time against the world’s greatest footbag champions. Footbag Freestyle has exploded and is the single fastest growing footbag discipline. Freestyle is a great combination of artistry and unbelievable athletic ability. Players choreograph difficult routines to music, and then are judged in a variety of categories. Balance, grace, and foot speed are combined with body strength to generate technical maneuvers. The creative possibilities can only be left up to the imagination. The footbag net competition will allow the up-and-coming players of the world a chance to try their setting, spiking, and digging skills against the best players in the sport to date – including reigning world champion, Emmanuel Bouchard, of Montreal, Canada, defending for the 10th straight year in singles play. Footbag Net is an incredible display of athleticism, combining the power and grace of martial arts, the court strategy of volleyball, and the highly refined foot control of elite soccer. Volleyball with your feet is the ultimate athletic challenge! This will undoubtedly be one of the most impressive new athletic events in the USA in 2007. Footbag competition is overseen and sanctioned by the International Footbag Players’ Association (IFPA), which is the international governing body of footbag sports. IFPA, Inc., is a US-based 501(c)(3) charitable non-profit organization whose purpose is to promote amateur athletics and international competition in the two primary footbag disciplines, Freestyle and Net Footbag. IFPA is an all-volunteer player’s association with 10,000 members world-wide, run by the players and their elected representatives. Freestyle Footbag is a raw and powerful mix of dance, juggling and balance as competitors work the footbag in carefully choreographed routines, sometimes with jazz-like improvisational authority, set to music ranging from techno to hip-hop to classical to rock. The competition can be compared to figure skating or gymnastics, yet it’s more unpredictable and edgy, with a vast array of personal styles and interpretations revealed. Hundreds were turned away from last year’s sold-out World Freestyle Championships in Frankfurt and one exposure to championship footbag tells why. There’s simply no other athletic discipline on earth requiring so many different skills. Spinning, stepping, jumping, and dexterity moves with precision, all in perfect synchrony and with rare drops at the top levels of play. At this competition, you will see athletically-toned performers in a rare mixture of art, grace, and athletic technique. Footbag Net is basically volleyball with your feet. Think, “Martial Arts over a five-foot high net.” Athletes dig, set and hammer the footbag across the net, often hurtling their bodies through the air, head over heels, legs flying. Yet the footbag, a ball measuring just two inches in diameter, is successfully knocked from one side to the other until the hard-fought point is snatched and the battle begins again. As the world’s great soccer legend Pele exclaimed in astonishment upon first witnessing championship footbag play, “This is incredible! I can’t believe anyone could be so coordinated with their feet!” The IFPA World Net Footbag Championships are an exciting, adrenaline-pumping display of athleticism and foot skill. The entire event will take place at the Disney Wide World of Sports Complex in Lake Buena Vista, Florida, August 11th to the 18th. The net competition will start outside on HESS Sports Fields with qualifying rounds leading to a single elimination bracket to the final. Freestyle will start its qualifying rounds on Wednesday, August 15th inside The Milk House. Both disciplines will have showcased finals inside The Milk House Friday and Saturday nights. The showcase schedule for the finals weekend is as follows: These events will rotate and occur together. 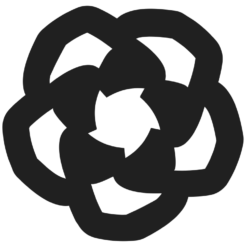 The IFPA’s website, footbag worldwide, www.footbag.org, is the official source of information for the sport, used by players around the world to access the official rules, instructional materials, and other information about the sport, clubs, and competitions world-wide. The IFPA World Footbag Championships have been held in a different city every year since 1994. This is a return of the World Championships to the USA after a four-year tour of Europe and Canada. Over the years, the Worlds have been in Golden, (Colorado, USA), San Francisco (California, USA), Vancouver (Canada), Chicago (Illinois, USA), Portland (Oregon, USA), Prague (Czech Republic), Montreal (Canada), Helsinki (Finland), and last year in Frankfurt (Germany). For more tournament information, Go to www.footbag.org for information on the sport of footbag and all the events across the world. E-mail Fancy Footwork Productions, Inc., chris@footbag.org, or visit the official website of the 2007 IFPA World Championships, at www.footbag.org/worlds2007 for sponsorship and registration information. Press-ready digital photos and answers to any questions may be obtained via e-mail to chris@footbag.org. About Disney’s Wide World of Sports Complex Opened in 1997 at Walt Disney World, Disney’s Wide World of Sports Complex is the premier sports venue for amateur and professional sports in the United States. The sprawling 220-acre state-of-the-art complex features the Milk House, a 165,000-square-foot field house which seats 5,000 for basketball; the 9,500-seat Ballpark at Disney’s Wide World of Sports Complex; and the Hess Sports Fields, which include multiple baseball, softball and soccer fields. In addition, the complex has 10 tennis courts, including a stadium court, and a track and field complex. The complex is home to more than 180 amateur and professional sports events each year, including the NFL Tampa Bay Buccaneers training camp, the Major League Baseball Atlanta Braves spring training and the Tampa Bay Devil Rays-Texas Rangers regular-season series, the Pop Warner Super Bowl and the AAU National Championship events. 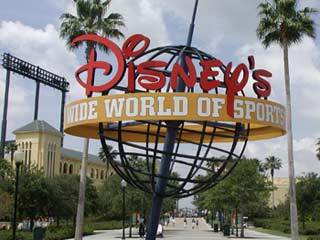 For more information about Disney’s Wide World of Sports, go to www.disneysports.com.